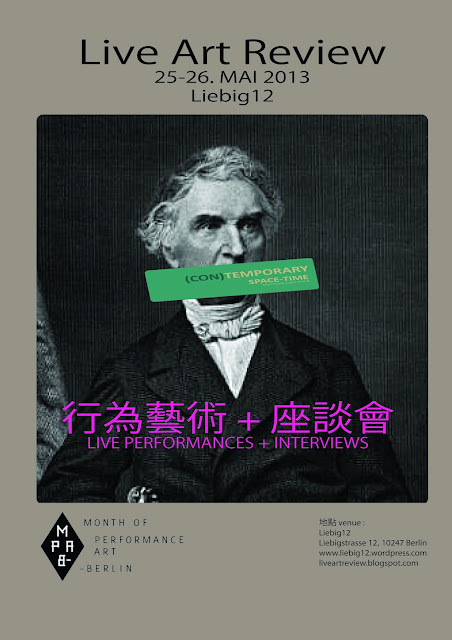 We invite you to Live Art Review second Edition! In collaboration with Month of Performance Art Berlin and the Contemporary Space-Time Exhibition. Artists will perform their work, and will then be invited afterwards on stage by critics to answer questions about their work. The audience is also invited to participate in the discussion/performance.